I love shopping local. Smaller stores with unique items and a real neighborhood feel always draw me in. I have quite a few locally-owned stores near me that I just love to go in and browse through and I count on for finding cute gifts for special people in my life. Sometimes it’s easy to get drawn into the big box stores and forget about the smaller specialty and chain stores, but the next time you’re driving through your town, take a few minutes to look over these smaller stores and I think you’ll find a lot of hidden gems. One such gem is a great little toy store chain with quality items that will have you coming back for more – Brilliant Sky Toys & Books. Brilliant Sky currently has 17 specialty stores across the country, from Tennessee and Iowa to Texas and North Carolina. Five years ago they had an idea to sift through the 10,000 high quality kids products that overflowed the shelves of their locations and pick a few favorites for what they dubbed the the “Brilliance Awards”. Brilliant Sky chooses the winners each year based upon quality, the value of open-ended play and the simple beauty of a child’s fascination and delight. Every year since starting the award list, parents and grandparents have used it for holiday shopping, birthday gift ideas, and more. 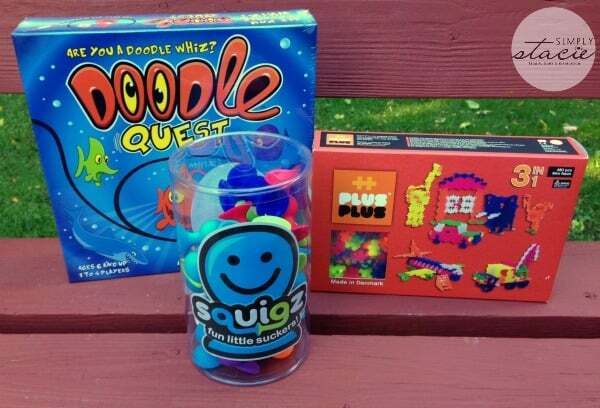 * Squigz Starter Set – these are so much fun! My little guy especially loves them. They’re easy to manipulate for small hands, and the fact that they stick to just about anything makes for endless hours of fun. 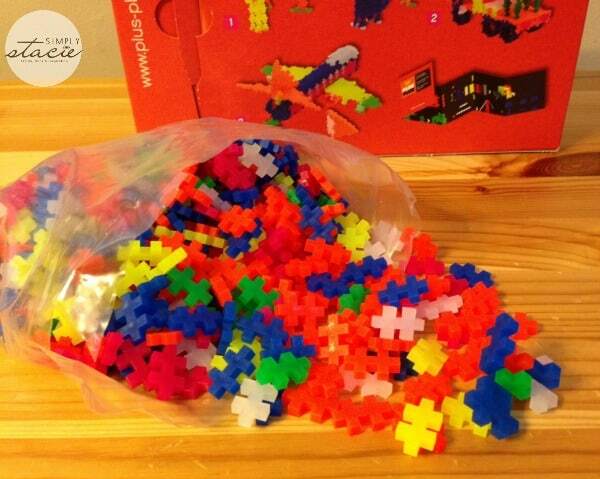 This set has 24 pieces in 8 different shapes. Bonus – they’re washable (even dishwasher safe!). * Plus-Plus Mini Basic – we received the neon version of this set and it’s a hit with my older guy. These pieces fit together to create just about anything you can imaging. My older son spent hours building what he called a Halloween Village – in 3D! * Doodle Quest – this is a great game for kids six and up. It’s a drawing game that includes 36 illustrations and two levels to master. This is a fun game for family game night. I love the uniqueness of these toys and the quality of each of item I received is just absolutely phenomenal. These are items that my boys will be able to cherish for years, and once they’ve outgrown them they’ll be stored away for future generations. They are truly classic toys that will never go out of style. 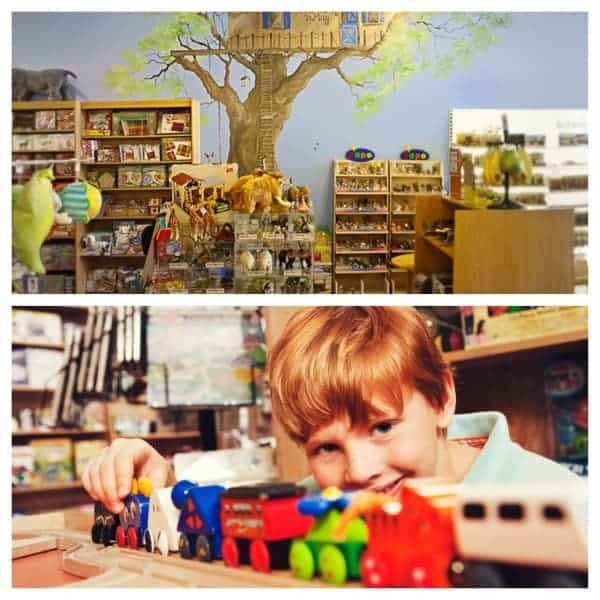 Brilliant Sky Toys & Books was founded in 2002 in Lansing, Michigan with the singular goal of becoming the finest upscale specialty toy store in America. They provide the high quality products based on the belief that the right playthings give children a gateway to physical, emotional and cognitive development. It has a unique aesthetic approach that is vibrant yet warm, exciting yet comforting and exploratory yet safe for all. From rich colors and woods to low sightlines and custom fixtures the Brilliant Sky sensory experience is unlike any other store out there. 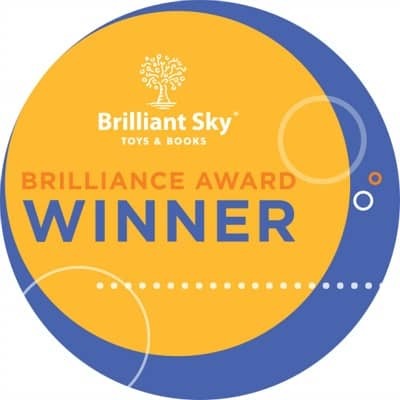 To learn more about Brilliant Sky Toys & Books, check out their website – there you can use their store locator to see if there’s one near you. You can find out more about this year’s “Brilliance Awards” winners on their blog. If I won I’d like the Manhattan Toy’s Tree Top Adventure! I would choose the Arklu’s Lottie Doll Autumn Leaves if I won for my daughter. I would choose the Manhattan Toy’s Tree Top Adventure, my granddaughter would love it. my kids would like Squigz. I would definitely choose the TreeTop adventure! Thanks so much for the chances to win. My daughter would love Tree Top Adventure. I like the Manhattan Toy’s Tree Top Adventure. I like the Plus-Plus Mini-Basic toy. Paint Your Own Porcelain Bowls.